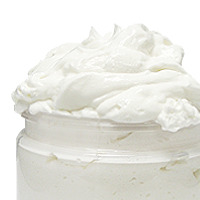 Three ingredients make up this creamy body butter: the lotion base, fragrance, and color. 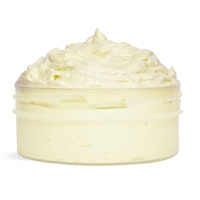 Add body butter to your product line with this easy body butter making project. 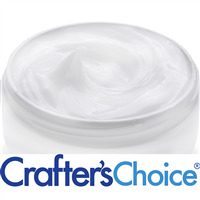 This project uses Crafter's Choice Silky Body Butter that contains sunflower oil for its moisturizing characteristics. The base is silky smooth, and it is enhanced in this project with the refreshing aroma of peaches and white wine. Finish with a little orange color and then it's ready for packaging. The containers included in this project are clear heavy wall plastic jars with white dome caps. You Save $13.45 by purchasing this kit rather than buying the items separately. COMMENTS: Made this and it came out so perfect. Sold them and they are all gone, will buy again ! COMMENTS: I love this stuff. It flew off the shelf. For my location people prefer 4 oz jars. So I split it up and so I had more jars available.i will continue this unless someone orders a large size. Will be ordering soon. 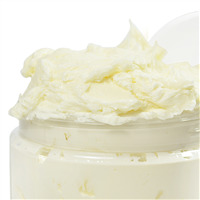 COMMENTS: As I am trying my had at making body butter I love the ease of being able to make one with a kit that produces such a great product. 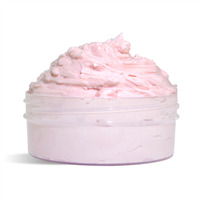 The base is very moisturizing and I do love the Peaches fragrance. I would put it in smaller jars on my next batch. I will definitely purchase this kit again. COMMENTS: I ordered this kit as a way to introduce myself to the body butter and general supplies included. It was so easy to put together this kit and make a product so nice. 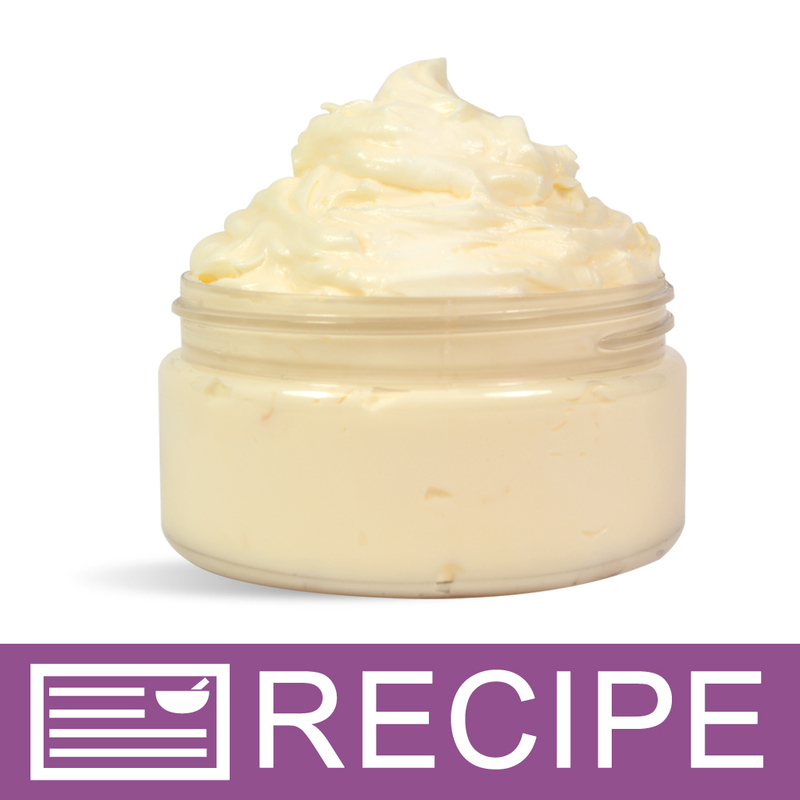 I loved the peach fragrance from the bottle, but not so much after using it in the body butter. It was just a bit strong for my taste. BUT I love the body butter and the fact that this kit had everything you need without having to purchase more product than you need. Ordering this kit allowed me to experience all the enclosed products without a large investment. Now I know which ones I want to reorder in larger quantities. Overall, both thumbs up! COMMENTS: This turned out so well I am buying the butter alone and also using smaller jars to sell. A little goes a very long way and the jar I gave as gift they fell they could eat it-it's quite lovely and I want some for me. I plan to incorporate this in other products as well. COMMENTS: FANTASTIC kit. Easy to use and product is silky and smooth. Best seller!! COMMENTS: Absolutely devine!! From scent to base (added to my own body butter recipe for added thickness). Into 4oz portions gone all but one!! So simple high quality. Very happy to have found this site saving loads on time ingredients and more! Thank you!!! COMMENTS: This is an easy kit to do!!! I love the base...nice and soft for the skin. It is easily absorbed into the skin. I loved the fragrance. It is a nice peach fragrance. I would recommend this product! COMMENTS: Very quick, simple, and decadent. Love the rich creaminess and the intoxicating peach scent. Smells like a peach Jolly Rancher. I purchased this for resale but definitely decided to reserve some for my family. We all love this product!